If you’re a DSLR shooter, using the Panasonic GH4 is like waking up from a bad dream. The workarounds and compromises you’ve had to endure with DSLRs just melt away. Here are 6 reasons why you will love the GH4. The GH4 does away with the mirror box of traditional SLRs. Using modern technology to drop this dead weight allows Panasonic’s designers to shape the camera according to your comfort, rather than simply to fit the camera’s internal components. The result is a compact camera body that fits nicely in the hand. Compared to a larger DSLR like the Canon 5D MKIII, the GH4 may appear positively tiny. However, after a day of use, the GH4 will feel completely natural in your hand. Bottom line: The GH4 strikes the perfect balance between a compact shape and a comfortable grip, allowing you to shoot all day without fatigue. The GH4 produces a high-quality image with great resolution and sharpness. This should come as no surprise as its predecessor– the Panasonic GH2– already delivered better image quality than most DSLRs. The GH4 builds upon this legacy with improved dynamic range and high-bitrate codecs that record at up to 200mbps. This results in a more realistic image that can stand up to additional post-processing such as color grading, VFX, etc. 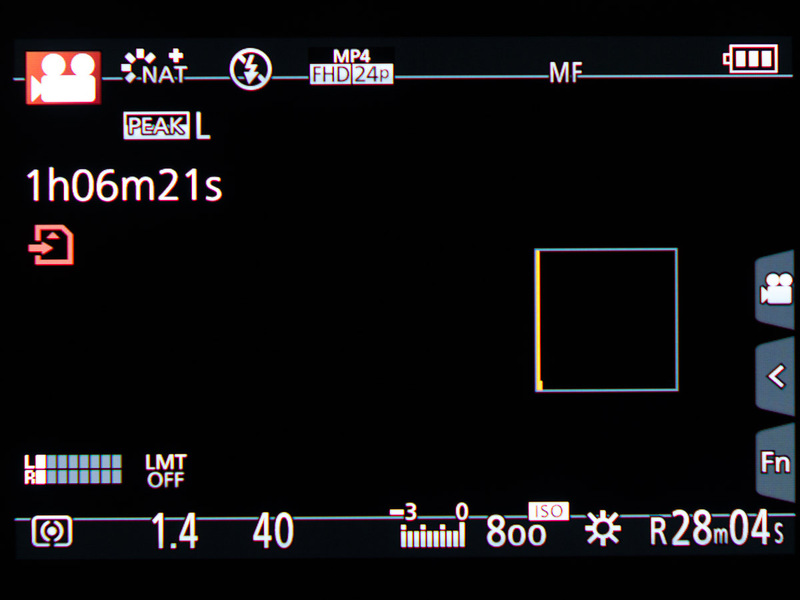 Bottom line: The GH4 delivers image quality well above its pay grade. The GH4 gives you a variety of tools to make sure your production goes smoothly from start to finish. 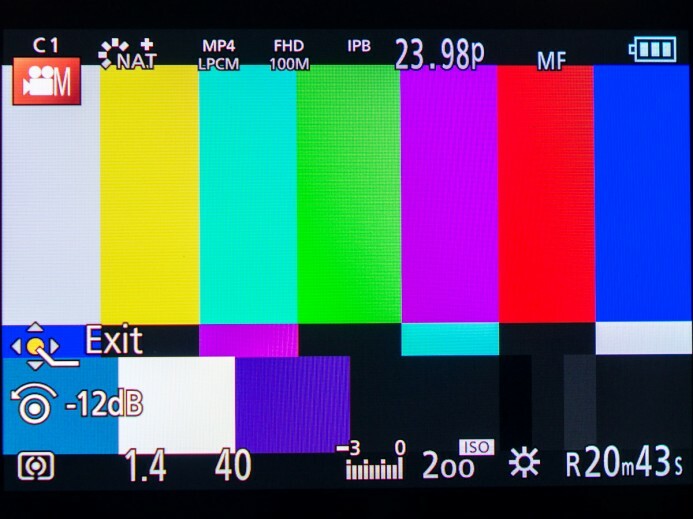 For example, the GH4 can output color bars to calibrate an external monitor and a test tone for an audio mixer. 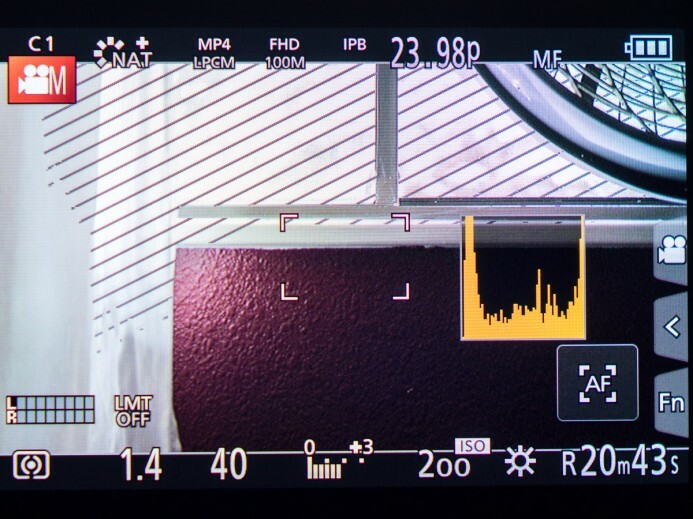 Use zebras and the histogram to make sure you exposure is spot on. Nail focus quickly and easily with focus peaking. Bottom line: The GH4 has the tools you need to make sure you get the shot. 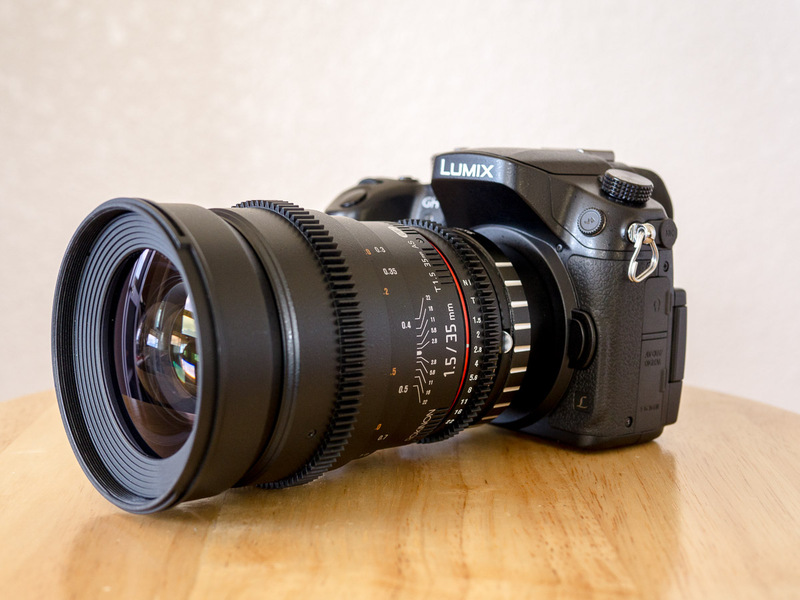 The GH4’s Micro Four Thirds mount is a mature lens mount that offers a wide selection of fantastic native lenses. Unlike most other camera systems though, the GH4’s lens selection doesn’t end there– non-native lenses can also be used on the GH4. Nikon, Canon, Leica, C-mount, B4, and even PL lenses can be easily mounted on the GH4 with a simple adapter. Virtually any lens ever made is at your disposal with the GH4. It gets better– you can squeeze even more functionality out of non-native lenses with a Metabones Speed Booster. 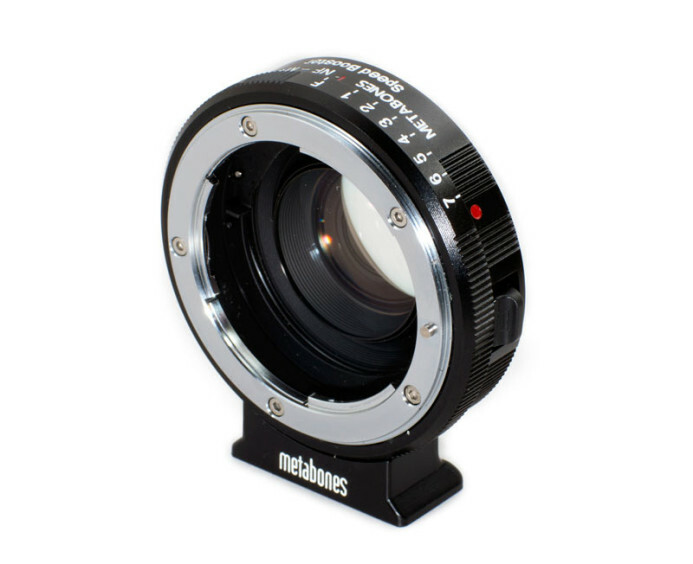 This specialized adapter has custom-designed optics that widens a lens’ FOV (field of view) on the GH4 that matches perfectly with Super 35 (Red Epic, Arri Alexa, Panavision Genesis, etc.). Furthermore, the Speed Booster also focuses light gathered from the lens onto the GH4’s sensor to give you an additional stop of light. Bottom line: Use virtually any lens in existence on the GH4. Many standard DSLRs, such as the Canon 5D MKIII, limit the length of video clips to a seemingly arbitrary 29 minutes and 59 seconds. You can forget about silly limits like this with the GH4. The GH4 will continuously record video until the memory card is filled or the battery runs out (whichever comes first). Over 1 hour of continuous recording. Can your DSLR do this? Bottom line: Don’t miss a moment. Continuous video recording makes the GH4 perfect for long events such as weddings, speeches, or single-take feature films. One of the pitfalls of shooting with a standard DSLR is the fact that DSLRs are not made for video production. As a result, many DSLR shooters have had to deal with a camera that overheats if you shoot for too long. While the GH4 might look like a DSLR, Panasonic have worked hard to make sure this camera can handle the rigors of video production. 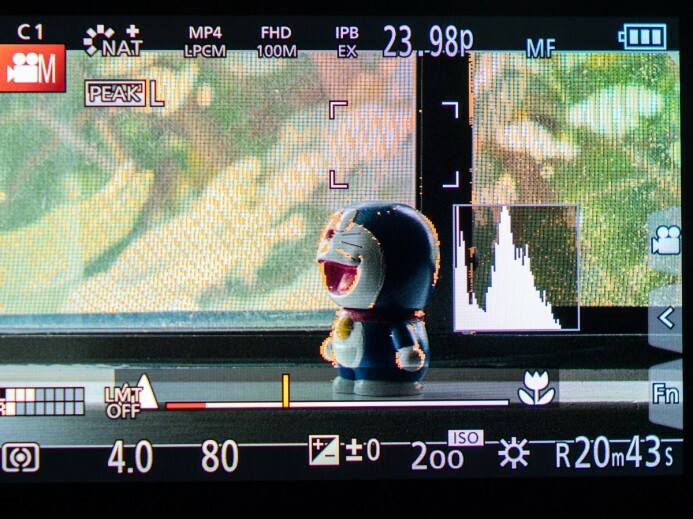 One of Panasonic’s priorities when developing the GH4 was improve cooling even further so that overheating would not be an issue in any recording mode. Whether you’re shooting in full cinema 4K, 2oombps HD, or 96fps VFR, the GH4 will stay cool under pressure. These are just a few of the things that make the GH4 a powerful tool for your production, and we haven’t even mentioned how the GH4 shoots 4K, can practically run all day on a single battery, and is also a great stills camera that shoots 12 frames per second. 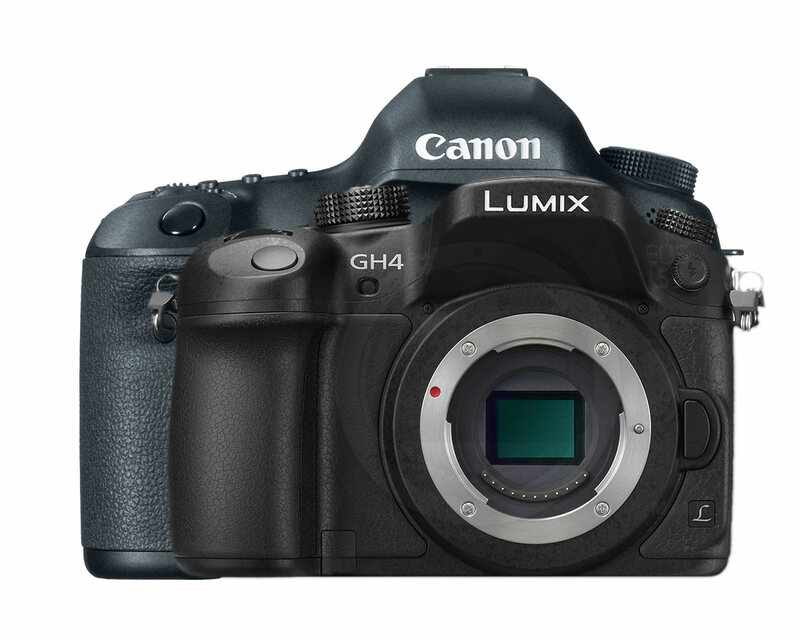 Panasonic has basically stuffed a full-fledged video camera into a DSLR form-factor when they designed the GH4. They’ve even provided a clear path to add even more video-centric features that wouldn’t fit in the camera itself (XLR audio, SDI output, etc.) if you need them. If you’re looking for a camera that will free you from standard DSLRs where video functionality is merely an afterthought, then you will love the GH4.